The No. 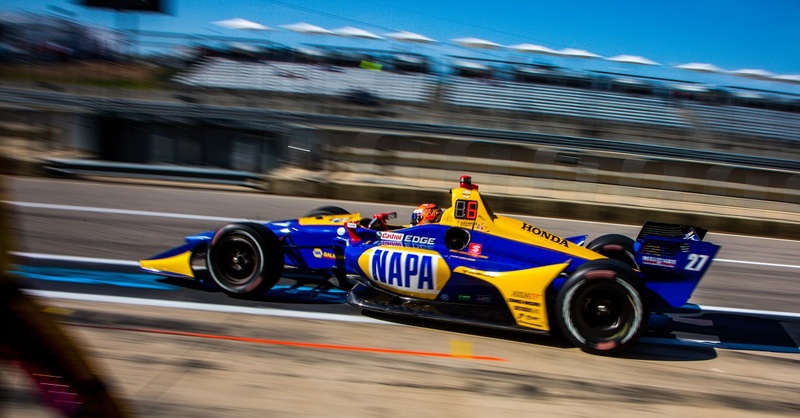 98 NAPA AUTO PARTS Honda piloted by Alexander Rossi will start third for the 101st Indianapolis 500 and will have a clear view ahead as he looks to defend his 2016 Indy 500 win. 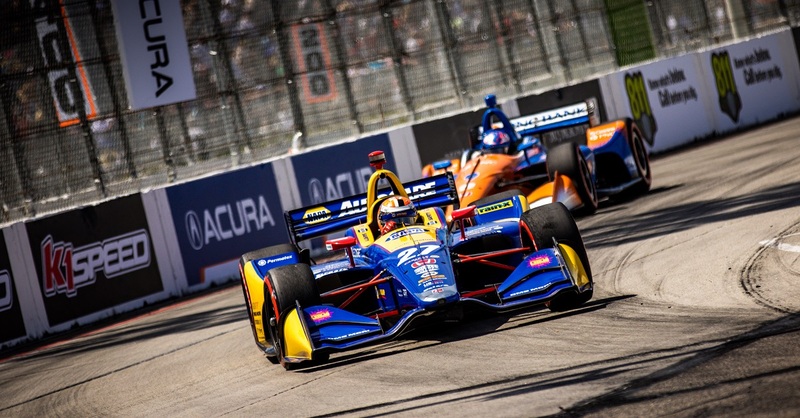 In one of the most exciting non-race weekends in motorsports, Rossi, last year’s rookie winner of the 100th running of the Indianapolis 500, was smack dab in the middle of the qualifying drama, finishing third and earning a spot in the illustrious front row of 33. All 33 entrants got one initial qualifying run Saturday, after a long rain delay thwarted the usual full afternoon of qualifying. 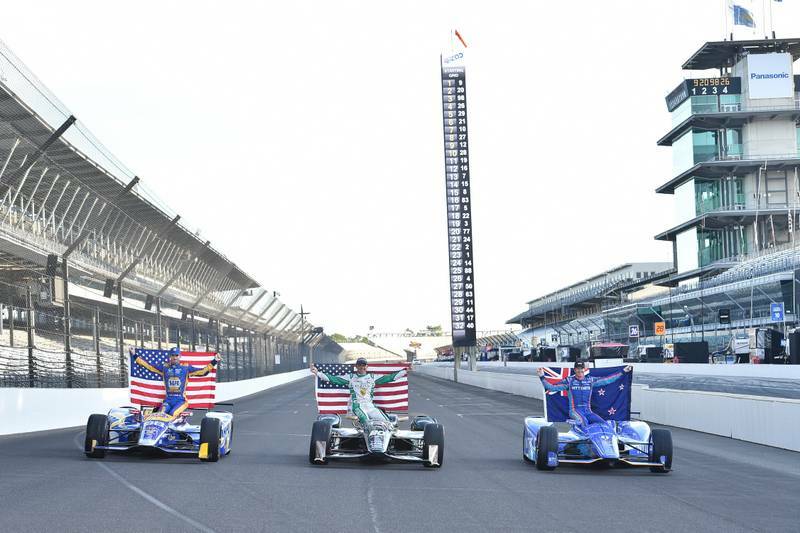 The “Fast Nine” then competed Sunday in a ‘shootout’ format to determine their final positions on the grid. 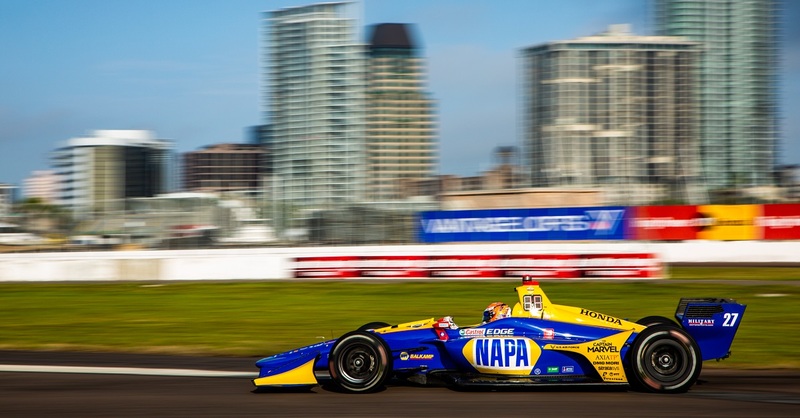 Rossi was fifth of nine to run, and able to surmise the risky wing adjustments needed to land on pole. After four on-edge laps, Rossi took first position with an average speed of 231.487. 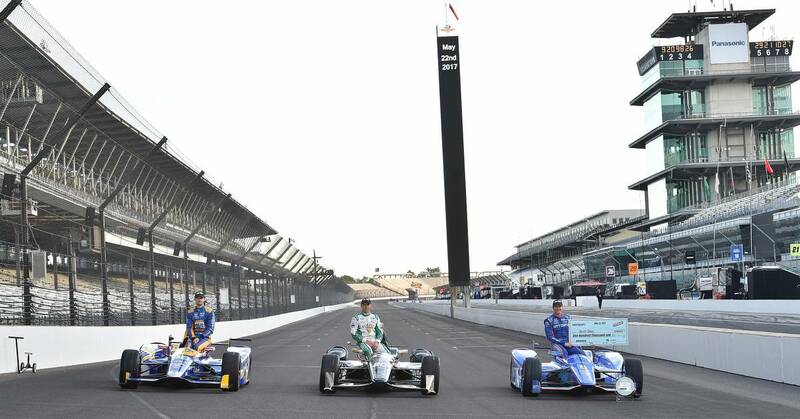 In the end, Scott Dixon scored the pole with an average speed of 232.164 mph, the fastest average speed since 1996. 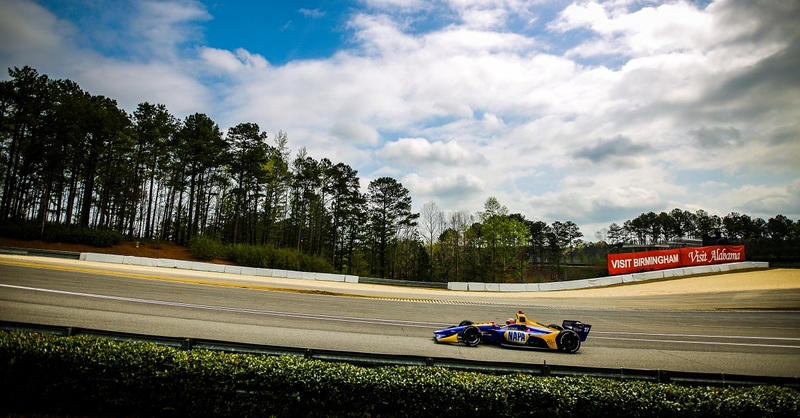 Four of six Andretti entries posted four-lap averages above 231 mph, with five of six Andretti cars qualifying in the top 10. Last year, Rossi qualified 11th. Points Standing / Total: 9th / 99pts.